According to organizers, the festival aims to fuse feminist education with a music festival, both of which highlight under-represented voices. This theme is now spreading across the country as closing the gender gap in the music industry is being pursued. Organizer Abigail Mlinar knew all but about three of the festival's attendees last year. "This year, not so much," she said. Online ticket sales more than tripled, she said, then offered up a high-five. Seven members of different businesses and nonprofits met with State Representative and DFL candidate for Lieutenant Governor Erin Maye-Quade at Duluth’s Building for Women to discuss how they’re combating sexual harassment and sexual violence. Marchers will step off in places large (Houston) and small (Dothan, Ala.), and the names of the events or their organizers capture the mood of this year's protests, such as the Feminist Action Collective in Duluth, Minn. In Arvada, Colo., there's Arvadans for Progressive Action and in Bloomington, Iowa, the Bloomington Resistance March. The new year brings new viewpoints to the News Tribune editorial board. Two new citizen representatives join today. The well-known Gary Eckenberg, retired from St. Louis County and a former Duluth city councilor, and feminist and progressive Abigail Mlinar, a marketing professional emerging as a community leader in her own right, take their turns in helping to ensure that the News Tribune's "Our View" editorials are thoroughly and richly considered and from a diversity of viewpoints. Through about mid-summer, they'll serve with Publisher Neal Ronquist, Editorial Page Editor Chuck Frederick, and employee representative Kris Vereecken on the board. Abigail Mlinar, founder of the Feminist Action Collective, said the group has a number of initiatives planned for 2018, including the 50x25 campaign that seeks equal representation in elected office, corporate boards, management and other leadership roles by 2025. "If women are 50 percent of humans, women should be 50 percent of leaders," the campaign says. "We are committed to leading Minnesota into a new era of progress, one in which inequality has no place at the table, and women do — whether that table is in our state capitol, our corporate conference rooms, our council chambers, or our county commissions." Mlinar said the region has the chance to make that happen by making women's voices stand out in 2018 and beyond. "The Year of the Woman is, to me, about opportunities to see women not as the gimmick/cover model/visually appealing draw to entice someone into male content. It's about hearing women's words. Listening to women's issues. And acknowledging women's work." What is your biggest accomplishment? Accomplishment, for me, is strange. The moments of my life that I'm most proud of are things I never had expected would happen — things I "accomplish," but nevertheless feel like accidents. A few of these are: the creation of the Feminist Action Collective, when Tall Ships Duluth was featured in Snapchat's news, making my favorite musician laugh, Don Ness giving me a high five at Homegrown, being on the Take It With You podcast, surviving a kayak flip in rapids, climbing a volcano through mud and getting the highest honor at my high school’s dance team camp. Three people – dead or alive – you’d like to have dinner with: Prince, Hillary Clinton, my mom. Five-year goals: Help great women get elected. Make the Twin Ports even more gender equitable. Always feel like I'm growing. And when fest-founder Abigail Mlinar introduced Duluth Mayor Emily Larson during the opening ceremony Friday, she described the city's first female mayor her as her role model. "You're one of my role models, too," said Larson, who described the event as a "tremendous gift to the city." FEmnFEST is on the verge of being one of the most inclusive and welcoming festivals in the country. 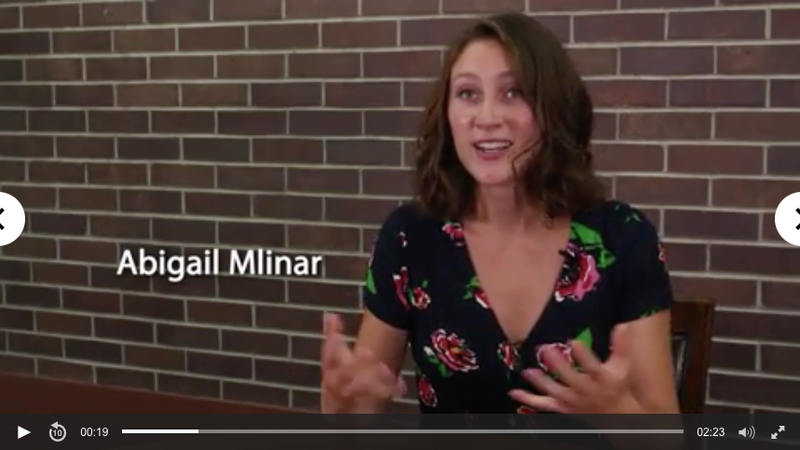 I got the opportunity to have a quick chat with Abigail Mlinar, one of the fest organizers, about the process as well as goals for the festival’s first year and beyond. A first-time, fem-friendly festival — billed as unapologetically female — runs Friday through Sunday and will include music, art, films, workshops and connection. FEmn Fest, which has a lineup of female-identifying performers, has its opening cermony at 4:30 p.m.
Abigail Mlinar and Brittany Lind, organizers of Duluth's newest festival FEmnFEST, joined Christine Dean to talk about what inspired this unapologetically feminist festival. They talked about why they felt it was needed and about the music and workshops that will be featured during this three-day event. Theft Of The Dial with Abigail Mlinar and Brittany Sanford of FEmn FEST. A brand new festival begins Friday in Downtown Duluth. FeMN Fest is a music festival that features female artists and woman-owned businesses. 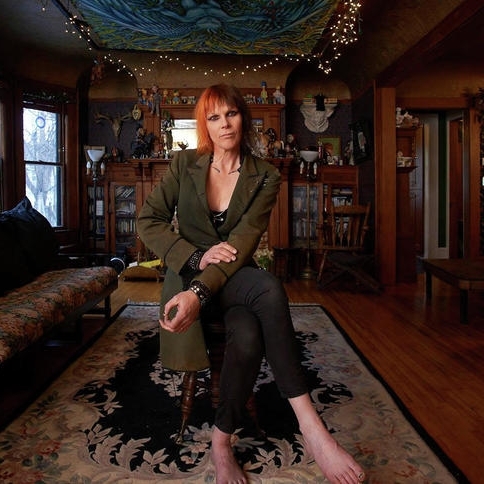 The lineup includes Haley Bonar and Venus DeMars and 25 other performers. This year's winners include people like Abigail Mlinar, who woke up on a November morning with an idea to start a group to empower women. Boom: Feminist Action Collective was born; Laura Mullen, who is the point-person for the hyper-engaged Bent Paddle Brewing; and Joe Wicklund, on staff at Marshall School and in the field coaching young athletes. Abigail Mlinar was struggling to sleep one night, she said, while the logistics of the first-time festival she created whirred in her mind. FEmn Fest, billed as an "unapologetically feminist festival," had a lineup of female-identifying musical performers and fem-friendly art and workshops, but no one big-name player. 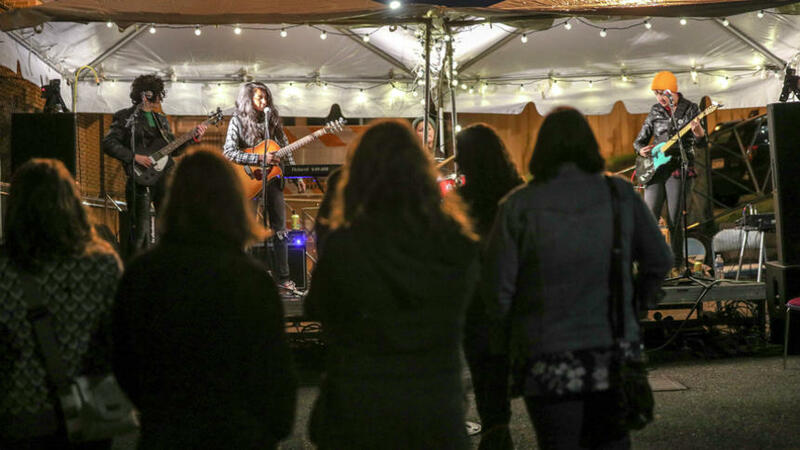 A new feminist music-and-more festival scheduled for mid-September has had a venue change: FEmnFest, which includes music, art, film, workshops, education and connections, will be held Sept. 15-17 at Sacred Heart Music Center and the Center for American Indian Resources. The organizers behind a feminist festival will host a launch party for the first-year event from 6-9 p.m. June 8 at the Zeitgeist Arts Atrium. There will be merch, food, a chance to get involved and music by Maddy Siiter and Jerree Small. Abigail Mlinar, founder of the local Feminist Action Collective, led the rally that featured representatives from 10 local women's organizations. They were also pushing for deeper equalities going beyond pay. If 50 percent of the population is female, Mlinar asked, then 50 percent of its leaders ought to be female too. She called on Duluth to reach 50 percent status in boardrooms, management positions and elected offices by 2025. "It feels so normal to me," she said, "like everybody should care about this stuff as much as I do." “An eighth grader who I personally love who, at the first meeting for the feminist action collective, said that the issue she most cares about is that equal pay is earned in this world by the time she graduates college because she’s scared to enter the workforce and already be discredited because of her gender,” says Abigail Mlinar, co-organizer of the rally. Even though the team is Duluth-based, co-producer Abigail Mlinar believes the festival will have a wide draw. “We anticipate the backing of the entire state of Minnesota to come enjoy the unique and powerful event," Mlinar said. 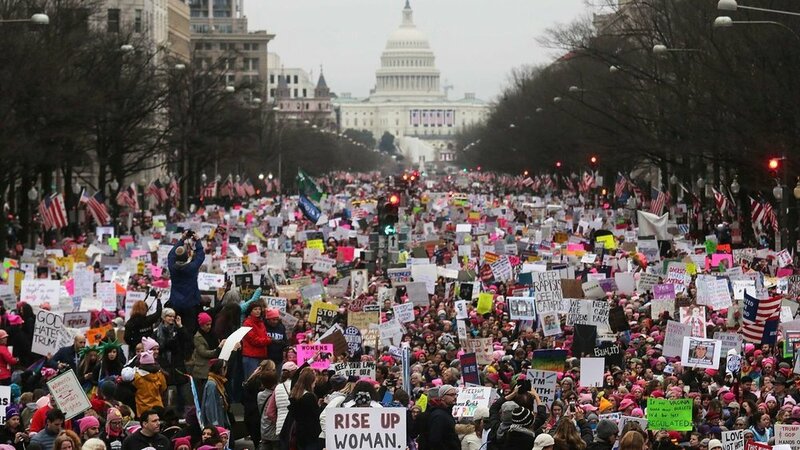 In case you missed it, there was a march in Washington, D.C., over the weekend. Duluth resident Abigail Mlinar was one of those in attendance. Mlinar, who is also the founder of the Feminist Action Collective in Duluth, shares her experience at the Women’s March on Washington and the journey it took to get there. Although some residents are traveling south to St. Paul to participate in the Women's March Minnesota, scheduled for Jan. 21 to coincide with the Women's March on Washington, Abby Mlinar said she was drawn to travel to Washington, D.C., where more than 200,000 people are expected to participate in the march. Mlinar, the Duluth resident who started the Feminist Action Collective, said she's participating in the march to be among like-minded women. She's taking a bus departing Duluth for Washington, D.C., organized by the crowdsourcing company Rally Bus. "The march as a whole, for me, is about making sure women's voices are heard, that the world understands that the women group is a strong and powerful group that should be listened to in that, yes, we can accept who our president is, but we don't want that president or the country to forget about our interests," Mlinar said. The event featured women performers, and a suggested 10 dollar donation with all proceeds going to the cause. The goal of the group is to raise 4,000 dollars to cover travel expenses for 10 women. “We also believe that it’s an opportunity for Twin Ports Area Women who aren’t able to fund it themselves to get some sort of an education in activism,” said Abigail Mlinar, the Founder of Feminist Action Collective. Big boats and rum will be featured during the 21st episode of the popular live podcast “Take it With You.” The fictional series, which follows the thises-and-thats of a cast of quirky friends, centered around bartender/singer-songwriter Blake (played by Blake Thomas) is a 60-minute musical comedy with interviews of local interest. Featured guests are Abigail Mlinar of Tall Ships Duluth and Nicholas Pascuzzi, head bartender at Vikre Distillery.